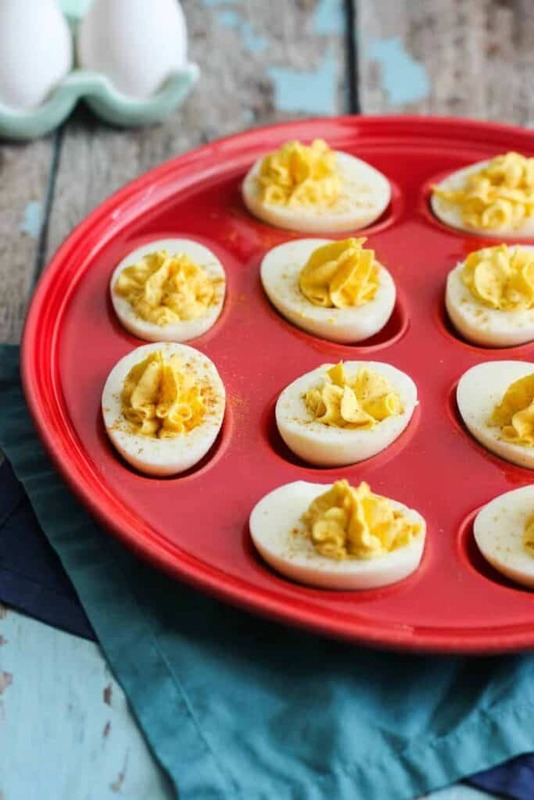 These Buffalo Deviled Eggs are a really delicious twist on the classic deviled egg recipe. 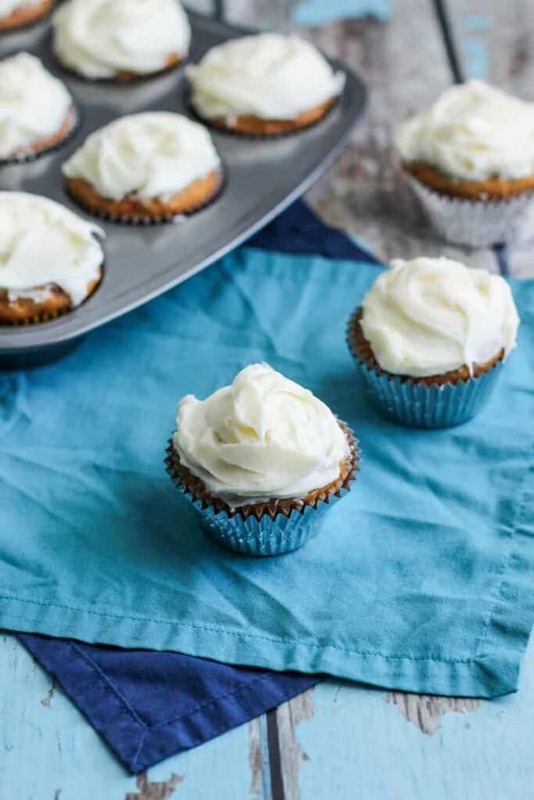 They’re very flavorful, a little spicy, and the perfect party food. I make deviled eggs pretty much every chance that I get. Having a party? 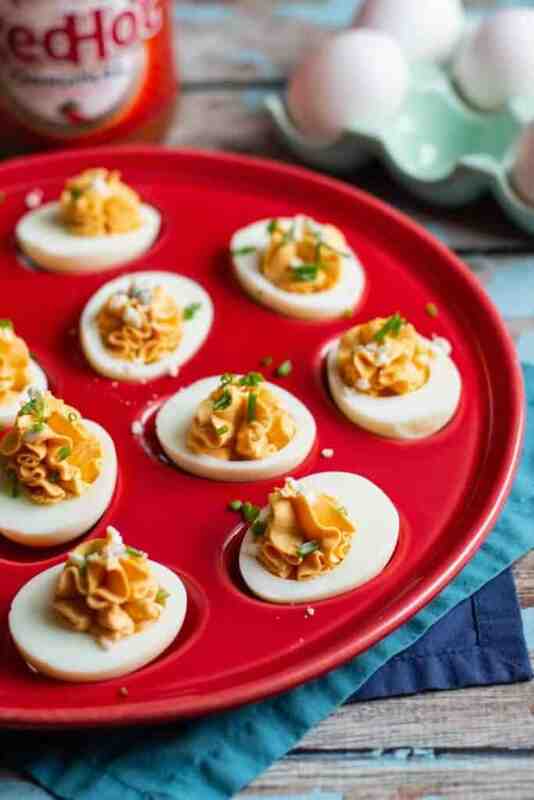 Deviled eggs are on the menu. Need some appetizers before a holiday meal? 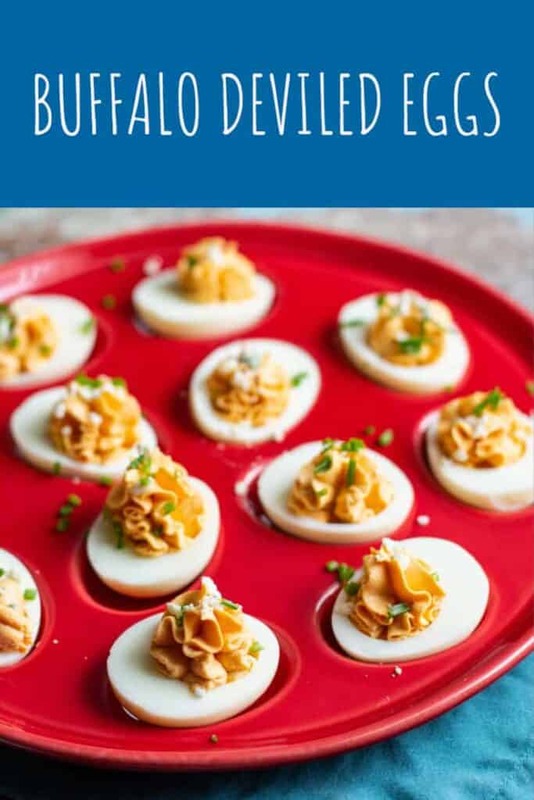 Better make some deviled eggs. 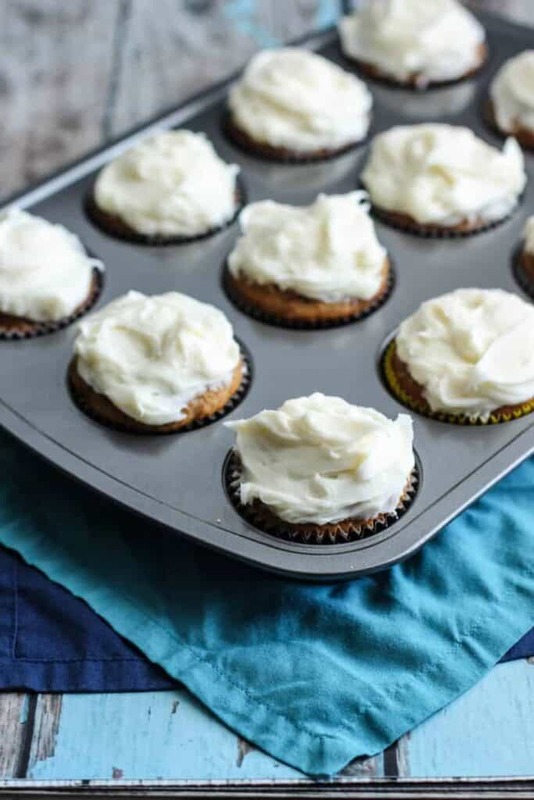 Heading to brunch at your friends’ house? You see where I’m going here. We went to brunch at our friends’ house this past weekend and agreed that we’d divide the work up along sweet/savory lines. They handled the sweet, while I handled the savory. For my part, I brought some cheesy baked grits and these deviled eggs. 10/10 would make and eat again. 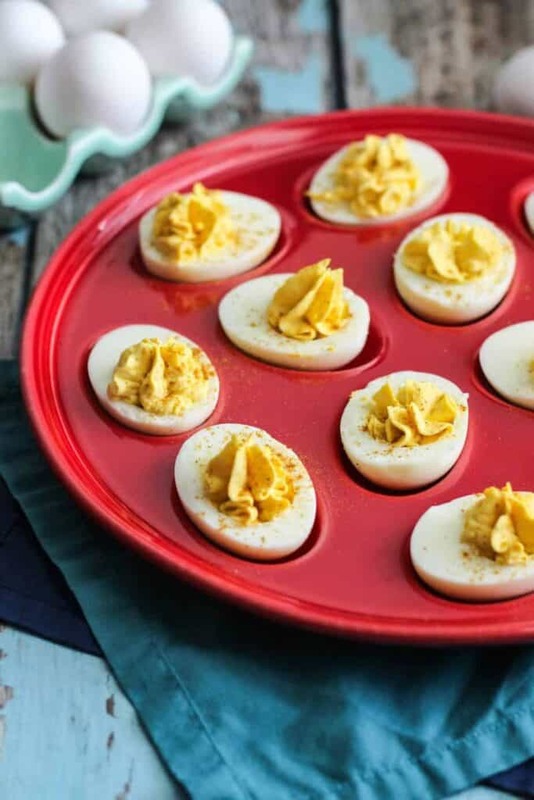 Like this cute deviled egg plate? It’s Fiestaware. 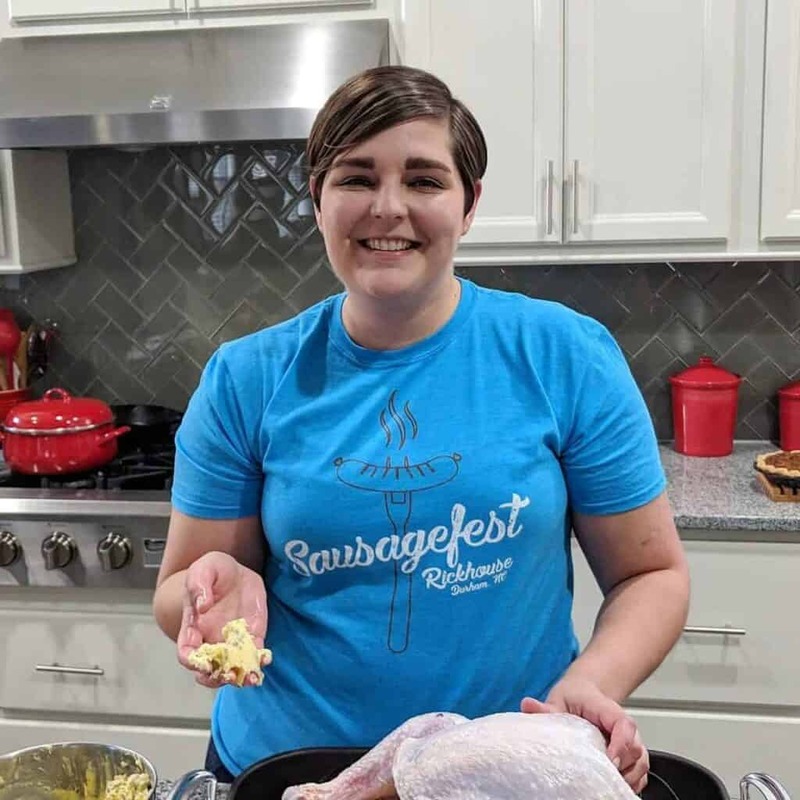 This is not sponsored (though hit me up, Fiestaware!). I just really like their stuff. 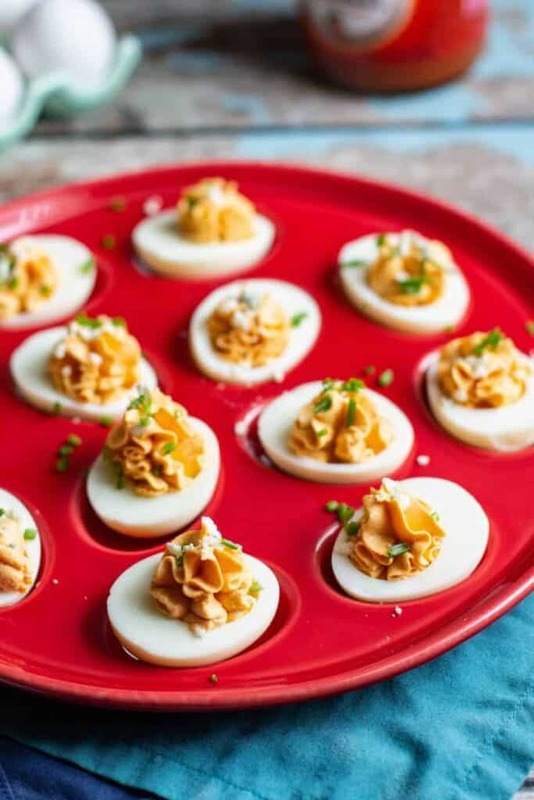 If Classic Deviled Eggs are more your thing, look no further. 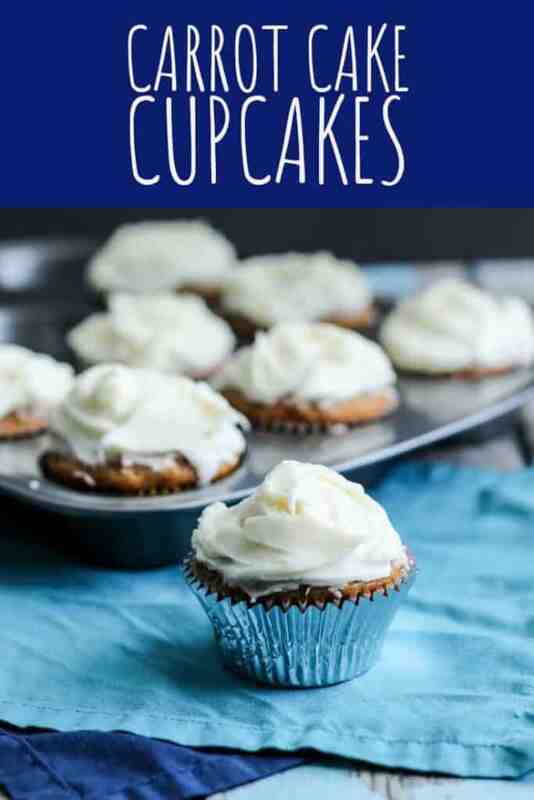 You can find that recipe right here. 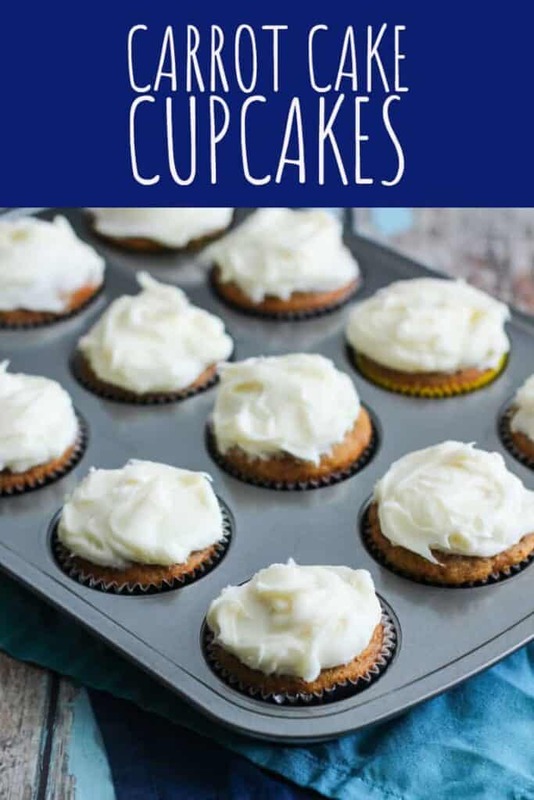 Make sure to also check out these other recipes that feature hot sauce! Fill the pressure cooker insert with ½ to 1 inch of water (check your manual regarding the minimum recommended amount of water). Place the steamer basket in the insert. The water level should be below the steamer basket. 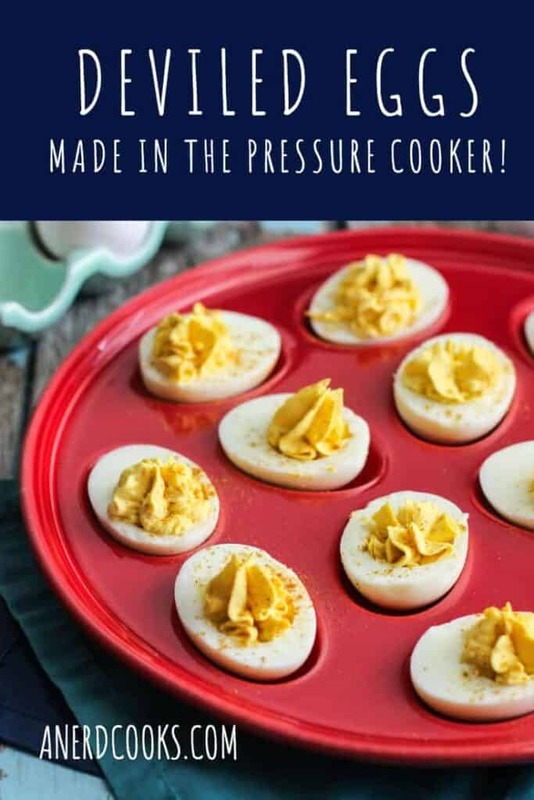 Place the eggs on the steamer basket in an even layer. Seal the lid and cook for 5 minutes on high pressure. Allow the pressure cooker to release naturally for 5 minutes. After that, do a quick pressure release. Carefully transfer the eggs to a bowl of ice water. Change the water out with cold water as needed until the eggs have cooled. Store in the fridge until ready to use. Place the eggs in a saucepan in a single layer and cover them with enough water that there is 1 inch of water above the eggs. Heat on high until water begins to boil then remove the saucepan from heat, cover, and leave the pan sit for 14 minutes. Peel the eggs. Slice the eggs in half, remove the yolks to a fine mesh strainer, and set the whites on a platter. Push the yolks through the strainer with a spatula into a medium-sized bowl. Add the mayonnaise, ranch dressing, hot sauce, salt, and pepper to the bowl. Stir to combine completely. Spoon or pipe the egg yolk mixture into the egg whites. 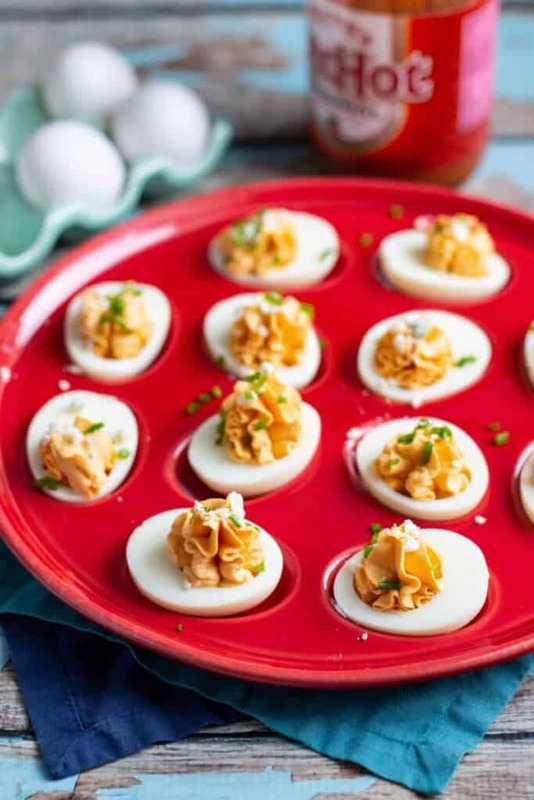 Sprinkle each deviled egg with a bit of blue cheese crumbles and minced chives. 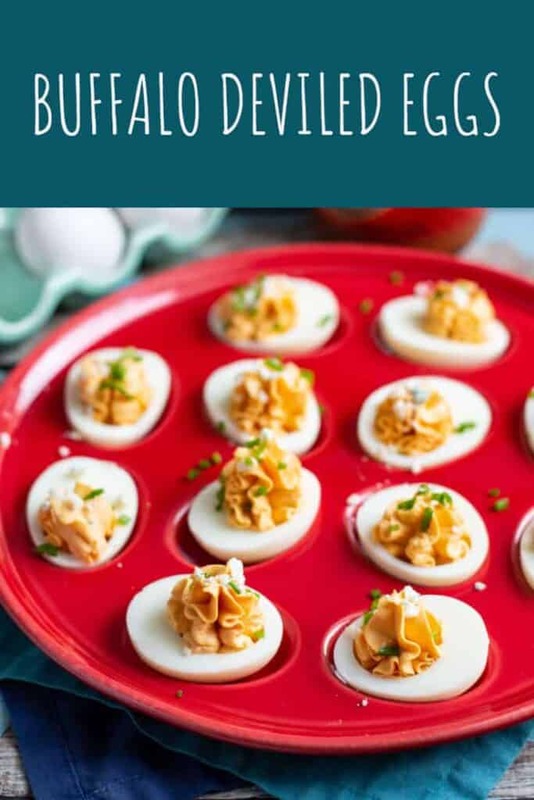 I wasn’t sure that I could love deviled eggs any more than I already did. Seriously, though. They’re savory, salty, and zingy (thanks vinegar and mustard!). 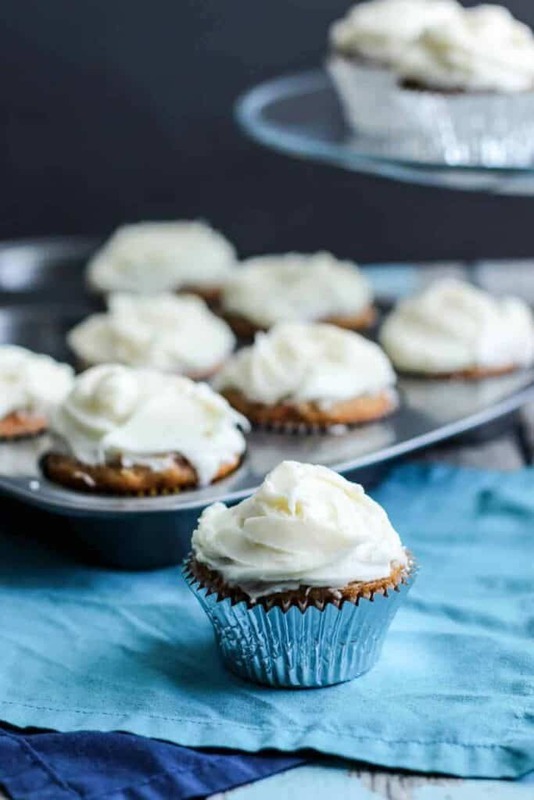 All in all, a pretty delicious two-bite snack. 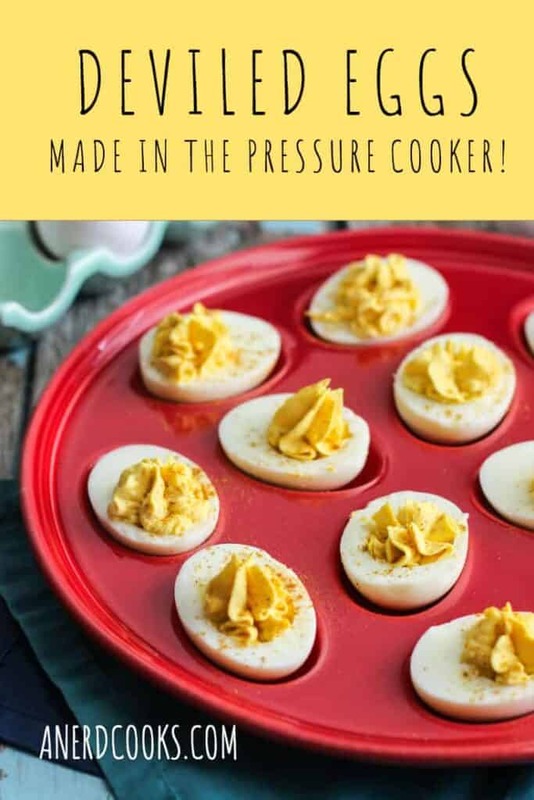 BUT THEN I discovered that you can make hard boiled eggs in the pressure cooker! 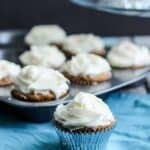 It’s not like making them on the stovetop is particularly difficult, but doing it in the pressure cooker is even easier and they’re guaranteed to come out perfect every time. I’m always on the lookout for new ways in which I can use my pressure cooker. Typically I’m using it for meaty applications (see my Pressure Cooker Carnitas and Pressure Cooker Green Chicken Chili), but these eggs came out so well. 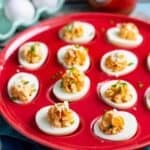 This is a classic, basic deviled eggs recipe. 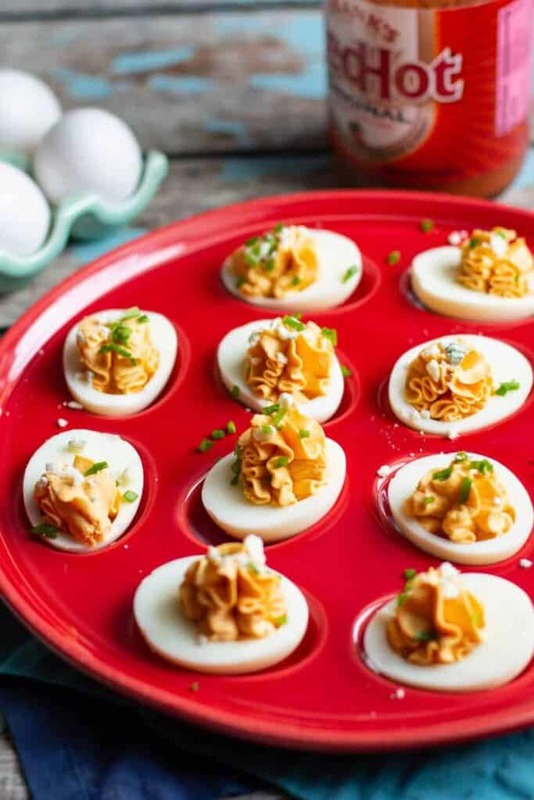 Deviled egg purists, look no further. Push the yolks through the strainer with a spatula into a medium-sized bowl. Add the mayonnaise, vinegar, mustard, salt, and pepper to the bowl. Stir to combine. Spoon the egg yolk mixture into the egg whites. 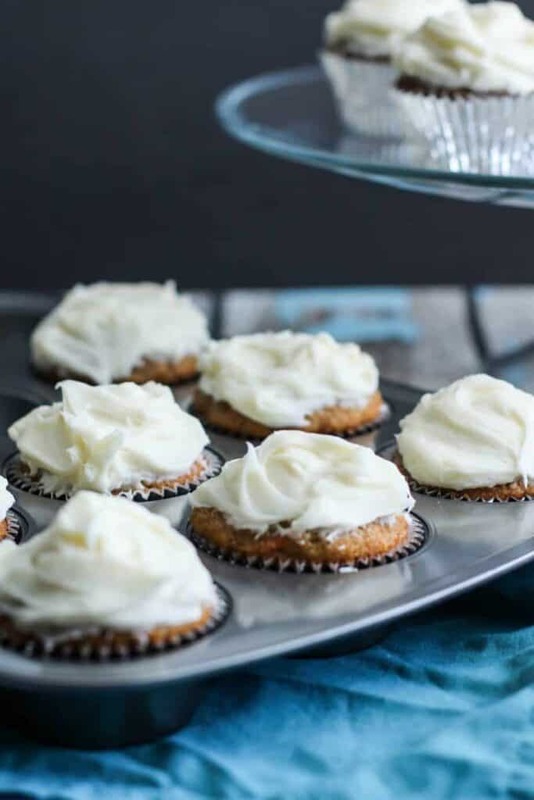 Dust with paprika and serve. Note: Instead of spooning the yolk mixture into the egg whites, you could also use a piping bag and tip. 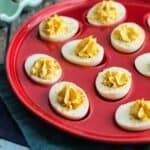 Interested in other deviled egg recipes?